The OmniView F1DA104ZEA 4-Port USB & PS/2 KVM Switch provides easy and dependable server control with extraordinary performance. The Switch enables network administrators to monitor and control up to four USB- and PS/2-platform servers from a single console. 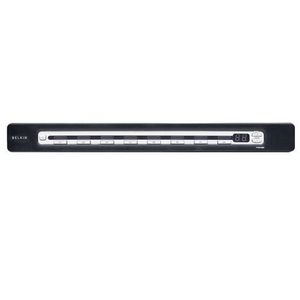 The OmniView F1DA104ZEA 4-Port USB & PS/2 KVM Switch is the industry's most popular for small-to-medium server rooms, branch locations, and test and development labs.